Celebrity children would know best of all people, they have been accustomed to the very best clothes, the best houses, the best parties, the best vacations and the best lifestyle since birth. While being the kid of someone who is very rich and very famous definitely has its own set of perils, nobody can deny all of the benefits that come with it. From Michael Jackson’s children who get $8 million per year through their inheritance to Allegra Versace who has inherited $800 million, there are children of celebrities’ who have never had to lift one single finger to earn money and they obviously will never need to. Well! That is what the other extreme looks like. Why not take a path towards the middle like Mark Zuckerberg has done who is the founder of Facebook. He has said he will give 1% of his wealth to his kids and pledge 99% to various charitable causes from all over the world. If you find yourself wondering why this isn’t extreme, that’s because this 1% add up to $450 million, why is by far more than they will ever need. Here are 15 celebrity kids who are spending all of their parent’s money and 5 who aren’t going to inherit a dime. Saint and North West can easily be considered some of the most famous kids in all of Hollywood right now. One sure way to living the finer life is being born into the Kardashian family, and the two of them are far from an exception on that rule. While Saint West’s diaper bag has been rumored to be worth $23,000, North West is busy taking headlines by storm due to her chic fashion choices. They’ve also been seen playing with a playhouse that is estimated to be worth nearly $144,000, according to The Sun. What’s more is that even their youngest sister Chicago, owns a $1,495 gliding nursing chair, a $575 cloud-motif rocker, and a $1,900 tweed and leather bassinet, according to the OK Magazine. And it isn’t just them, every new member of the Kardashian-Jenner clan gets the same treatment, gifts on gifts to no end, and all of them are extremely lavish. 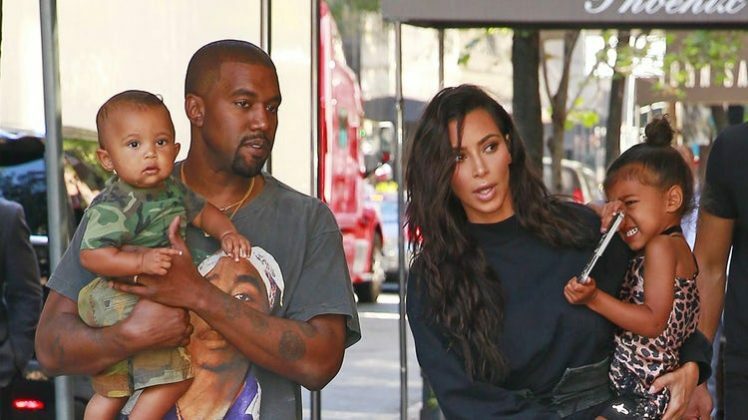 While being famous, Kim and Kanye have been able to make a fortune for themselves, and with that being said, it’s only fair that their children also reap the benefits. Don’t be too surprised if you see them land a gig on one of their reality shows or even end up starring in a new show of their own! With Kim and Kanye also in the process of creating their own kid’s clothing line, it is easy to expect we will only see them splurging on even more expensive purchases in the near future.